We are pleased to have worked with Casey Currie, who is well known in the world of motor sports. He does it all, such as off-road racing and building off-road vehicles. Designed by both Casey Currie and Hot Wheels, we had this vehicle wrapped, paying very close attention to all the exact details that he wanted. 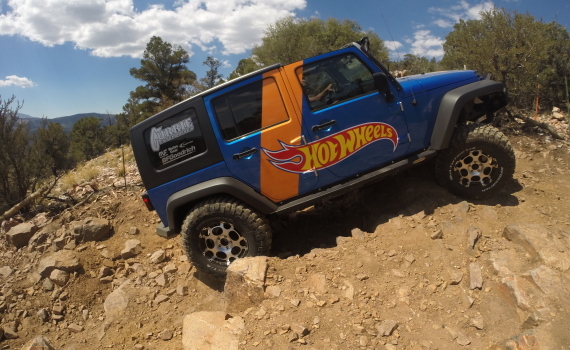 We can tell he has a passion for Jeeps, and we hope this one brought more variety to his CRC Jeep line. 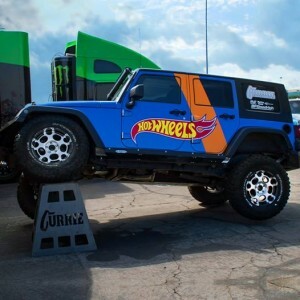 On September 7th, Casey Currie, partnered with Monster Energy, showcased all of his Jeeps, including this newest addition, at the Angel’s Stadium in Anaheim for the Dub Show. 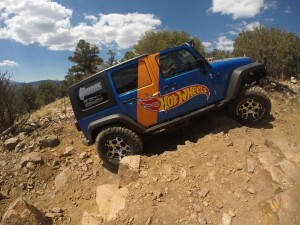 He showed what his Jeeps can do on the pavement, and even gave over 40 rides that included jumping from his metal ramp. We were excited to hear that Casey Currie was so pleased with his new Jeep, he will be hitting the trails with it this coming weekend! To keep up to date with that, you can always visit his Facebook page. 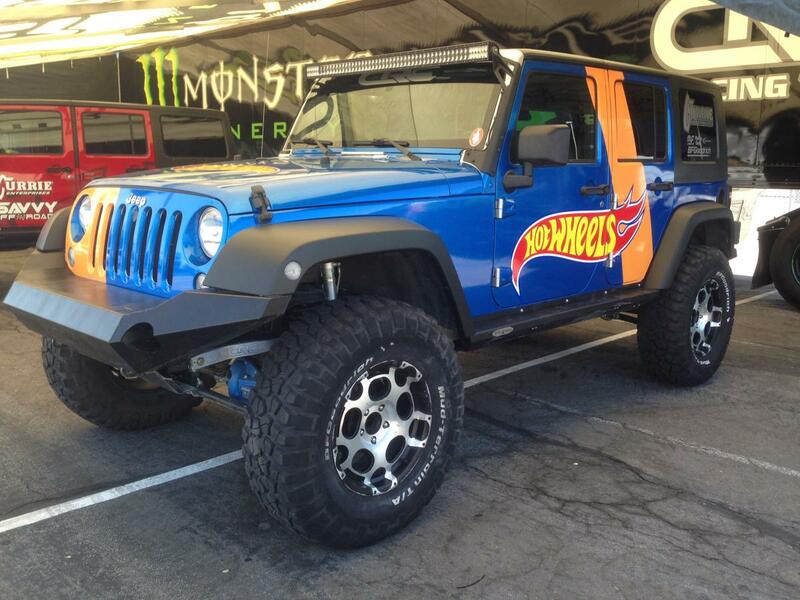 We hope Casey Currie has fun on all of his future adventures, especially with this Hot Wheels Jeep being added to his collection.